Lalita Sobit, a Nepalese working in Hong Kong, gave her life to Jesus in a church service and asked if we could begin a Nepalese church . God sent us Gyan and Mahdu Magar. to pastor and build that wonderful group. 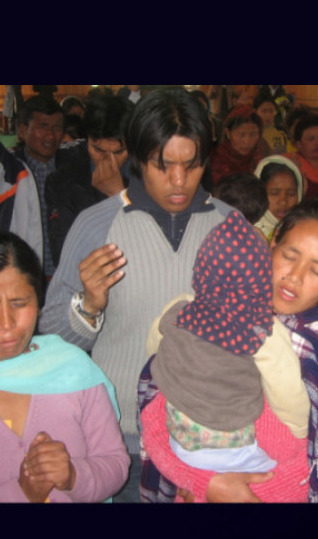 Today we have begun churches in Nepal and continue to have conferences to strengthen the churches there. 25 years ago there were no known churches and today there are hundreds in a very impoverished nation filled with strong people. We will continue to send in teams to help strengthen Pastor Palmar and the work he is doing in this country. Nepal is also a link to both the Kingdom of Bhutan in the East and Tibet to the North. Hindhus are militant and the Buddhists are opposed to anything Christian. But there is a great revival and many converts in this country.